In this industry there are always interesting fights going on behind the scenes. In fact, it seems like a lot of the policies made by the FCC are in response to battles being waged between carriers. As the FCC intervenes in these fights they end up creating policy as they help solve issues. This Letter is a correspondence with the FCC about a current dispute that is going on with Verizon and AT&T disputing the way they are being billed by Bandwidth.com. and Level3. This fight is an interesting one because it asks the FCC to affirm that is supports a migration to an all-IP network. The dispute is over what is called OTT (Over-the-top) VoIP. OTT in this case means that there are voice calls being made from a service provider’s network for which the service provider is not providing the switching. Instead the service provider is buying switching from a CLEC like Level3. And all of the calls involved are VoIP calls, meaning that they are being delivered from the customers to the switching CLEC using the IP network rather than the public switched telephone network. Here is how this might happen, although there are other configurations as well. The network in question is clearly an IP network to the customer in order for this to be considered as VoIP. That means it is either a fiber-to-the-home network, DSL over a copper network or a cable system that has been upgraded to send the voice over the data path. In a traditional TDM network the calls from customers are routed directly to a voice switch and that switch will decide what to do with the call based upon the numbers that were dialed. But in this scenario there is not a switch in the subscriber’s network. Instead, when a customer makes a call, a signal is sent to wherever the switch is located telling it where the customer wants to call. That remote voice switch then tells the network owner where to send the call. It is no longer necessary in a smartswitch environment for the call to actually touch the switch, but the switch is still the device that decides how to route the call. The parties are fighting about whether access charges ought to be charged for an OTT VoIP call. Access charges are fees that long distance carriers pay at both the originating and terminating end of a call to compensate the network owner at each end for processing the call. Verizon and AT&T don’t want to pay the switching component of the access charges for these calls. They are arguing that since there is not a physical switch in the originating network that such charges aren’t warranted. Broadband.com and Level3 are arguing that the switching is being performed regardless of the location of that switch. They point out that for the FCC to rule otherwise would be counter to the FCC’s desire for the telephony world to migrate to an all-IP environment. If the FCC rules that AT&T and Verizon are right, they will be saying that a carrier performing a switching function on legacy TDM technology can bill for performing that function but that somebody doing it more efficiently in an IP environment cannot. I just published a blog yesterday talking about ways to share a softswitch and that is exactly what is happening in this case. In an all-IP environment the network can be more efficient and not every carrier needs to buy and operate a switch. They can instead contract with somebody else to switch calls for them which is easy to make happen in an IP environment. Access charges are designed to compensate local carriers for the cost of performing certain functions and one has to think that the network owner in this case is still having to pay for the switching function and should get to recover some of that cost. In fact, there has been switch sharing for years even in the TDM world. I know several rural LECS who lease switching from their neighbors and who have not owned a switch for decades, and they have always billed the switching access charge element. That element reimburses you for the cost of switching and it really shouldn’t matter if that cost is made up of the depreciation on a box you paid for or else a fee you pay to use somebody else’s box. Cost is cost and the key fact is that calls can’t be made or received from an area if somebody isn’t doing the switching. I always find arguments by the large RBOCs to be interesting because they wear many hats. AT&T and Verizon are wireless carriers, LECs and long distance companies, and often when one part of the large companies make regulatory arguments it will be contrary to the interest of one of the other branches of the company. In this case the long distance branches of the RBOCs are looking for a way to avoid paying access charges. But the LEC side of both Verizon and AT&T share switching and they do not have a switch any more for every historic exchange area. So to some degree these companies are arguing against something that another branch of their company is doing. And this is often the case in many regulatory arguments since these companies do so many things. Hopefully the FCC will agree with Broadband.com and Level3. If they rule otherwise they will be telling carriers that it is not a good idea to establish switch-sharing arrangements that are more efficient than having every carrier buying the same expensive boxes. If the FCC really wants the telco world to move to IP they need to get rid of any regulatory impediments that would make an IP network less desirable than a legacy network. Hopefully the FCC sides with efficiency. I see a lot of companies buying softswitches and it makes me wonder if it might not be a better economic idea to share a switch with somebody else. There is so much potential for savings that anybody thinking of installing one should consider it. In the following I will discuss what it means to share a softswitch and look at the pros and cons. The Basic Requirements. Sharing requires that somebody already owns a softswitch that can control geographically separated gateways. Such a switch must be able to share both the inter-machine trunking gateways, which facilitate PSTN interconnection and the media gateways which facilitate interconnection to customers. Sharing is also going to require interconnection between the two sharing parties. This means there must be some sort of trunking established between the two parties that can be either traditional TDM trunks or IP trunks. Unified Messaging or Unified Communications server – the device that stores, controls and converts data used in unified communications services like voice mail, email notifications, voice to text and text to voice, etc. Media Gateway – for local connection to local distribution network and/or CPE. Data connections required. As mentioned, there must be a data connection established between the softswitch and the new location that allows communications between the shared elements housed at the core softswitch and the distributed elements found at the new location. The size of the data pipe/connection required depends on the amount of data required between the shared and distributed elements. It only requires a few megabits per second to transmit voice traffic. You’ll need a connection in the tens of megabits per second if you are using a lot of features like voice mail & unified communications or a lot security invocation. Partitioning. The owner of the shared elements will have to ‘partition’ the shared elements in order to ensure that subscribers of the sharing company can’t be seen or manipulated by other sharing companies; Partitioning will also hide the call detail records, routing control and will make sure that the shared elements can communicate through to the multiple networks operated by the sharing companies. It is inexpensive to buy only the distributed elements. Depending on how large you are, the distributed elements could cost anywhere between $25k and $200k which is far less than buying a new softswitch. What is the cost of the data connection needed to connect the two locations? Generally companies make these connections using establish Internet backbone and this typically adds nothing to that cost. How much does the switch owner want to charge for using the softswitch core? There are many ways to charge for this service. It could be done on a flat rate monthly lease, a connection fee per telephone number. Reliability. How good is the Internet connection between the two companies? If that connection is lost then voice processes will stop. Ideally the connection ought to be on a ring or have redundant routing. Control. I often hear a company thinking of leasing say that they feel like they don’t have enough control in a shared switch. But you can get access to all important switch functions remotely. When I look at the numbers I find that it is almost always better to share a switch rather than to buy a whole new switch. However, the one factor that still often drives the decision to buy a new switch rather than share is the reliability of the data connection between the two parties. But this is generally about the same reliability as connecting remote switches in your own network to a host switch. If you want to consider sharing a softswitch call CCG and we can help you work though this decision. 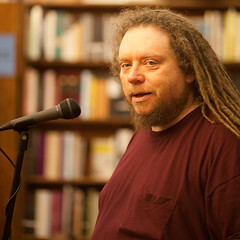 I just finished reading Who Owns the Future by Jaron Lanier and it was a really interesting read. He is a pioneer computer scientist and was involved in starting virtual reality. He is listed by Encyclopedia Britannica on a list of the 300 most important inventors. He says we have reached a point where technology is devastating the middle class. Industry after industry is folding and not being replaced. Historically, every new technology killed old industries but replaced them with new ones. But that is no longer the case. He points to Kodak which once had 140,000 employees, and it folded and was replaced by Instagram which had 13 employees when Facebook bought them. This has happened in other industries like music stores getting replaced by iTunes, video stores replaced by NetFlix, etc. And he thinks a lot more of this is on the horizon with the growth of 3D printing, self-driving cars, robotic mining equipment, robotic nurses and all the other technology that is being designed to remove the costly human element from the production process. He says that wealth is now being concentrated by those who have the fastest computers. He gives this the name of ‘siren servers’ and he is talking about Google, Facebook, Amazon and all of the other companies that are creating wealth from gathering data about all of us in huge data centers. He argues that we are going to have to find a way to rebalance the information economy because these huge siren servers are using our information for free. He thinks that somehow we need to get paid for the data about us. I reviewed another book here last month by Eric Schmidt, the Executive Chairman of Google who made the same point but who thought that it was more likely there would be a future revolt by people who didn’t like what was being done with their data. But Lanier thinks it’s more likely that the siren servers will win and will know everything about us. Lanier doesn’t think the problems being created are with the Internet, but rather with how the Internet has become organized. Major Internet companies like Google and Facebook tend to form monopolies on a global scale. These businesses succeed by offering something for free – such as the Google search engine, the Facebook social connections, the Linked-In business connections, etc. And for the use of these free services the public gives up tremendous amounts of information about themselves. And it is these huge databases of personal information that is creating the huge book values for these companies. He also doesn’t have a very good opinion of the people running these huge siren server companies. He says that the technologists who are running the siren server companies are narcissists who are blind to the effects they are having on the world. He says that geeks are not really egalitarians despite the t-shirts and flip-flops, and that the technology world is one of pure Darwinism where only the very most successful are able to survive to the point of making money from their technology. He is not comfortable that these are the people who are running the world. This is the kind of book I really like because it made me think hard. Lanier is looking at the tech world from the perspective of the ultimate insider and is seeing things that I have felt but never was able to put into words before. I personally have always been very leery about how the information gathered on all of us will be used in the future. I read recently that there is an average of 12.5 different places on the Internet that has gathered personal data on each person who uses the Internet. I am growing more leery of accepting the equation of using a site for free and paying for the privilege with information about what I like, who I know, what I am interested in. Lanier says that we are going to lose the battle with the siren servers unless we can find some way to balance the relationship between us and the big companies. I hope we find a way to do that, because I don’t want to live in a Big Brother world. Whenever I look at my client’s data products I almost have the same advice – make it faster. I am constantly surprised to find companies who deliver small bandwidth data products when their networks are capable of going much faster. I have come to the conclusion that you should give customers as much bandwidth as you technically can deliver, within any technical restraints. I know that networks are operated largely by engineers and technicians and very often I hear the engineers warn management against increasing speeds. They typically are worried that faster speeds mean that customers will use more bandwidth. They worry that will mean more costs with no additional revenue to pay for the extra bandwidth. But the experience in the industry is that customers don’t use more data when they get more speeds, at least not right away. Customers do not change their behavior after they get faster data – they just keep doing the same things they were doing before, only faster. Of course, over time, internet data usage is steadily increasing on every network as customers watch more and more programming on the web. But they are going to increase usage regardless of the speed you deliver to them as long as that speed is fast enough to stream video. Going faster just means they can start watching content sooner without having to worry about streaming glitches. The engineers do have one valid point that must be taken into consideration, in that many networks have chokepoints. A chokepoint is any place in a network that can restrict the flow of data to customers. Chokepoints can be at neighborhood nodes, within your network backbone, at devices like routers, or on the Internet backbone leaving your company. If your network is getting close to hitting a chokepoint you need to fix the issue because the data usage is going to grow independently of the speeds you give your customers. When I hear worry about chokepoints it tells me that the network needs upgrades, probably sooner rather than later. Historically telecom companies were very stingy with data speeds. 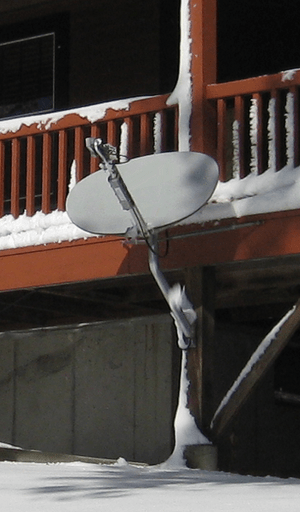 The first generations of DSL didn’t deliver speeds that were much faster than dial-up and even today there are many markets that still offer DSL with downloads speeds of 1 Mbps. Then cable modems came along and they upped speeds a little, with the first generation of cable modems offering speeds up to 3 Mbps. And over time the telcos and the cable companies increased data speeds a little, but not a lot. They engaged in oligopoly competition rather than in product competition. There are many notorious quotes by the presidents of large cable companies saying that their customers don’t need more speed. But then Verizon built FiOS and changed the equation. Verizon’s lowest speed product when they launched service was 20 Mbps, and it was an honest speed, meaning that it delivered as advertised. 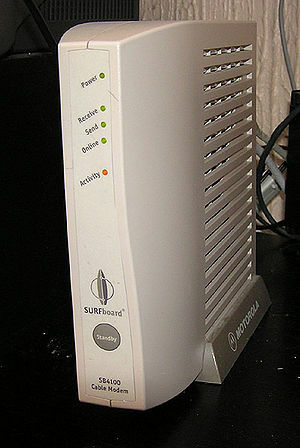 Many of the DSL and cable modem speeds at that time were hyped at speeds faster than could be delivered in the network. Cable modems were particular susceptible to slowing down to a crawl at the busiest times of the evening. Over time Verizon kept increasing their speeds and on the east coast they pushed the cable companies to do the same. 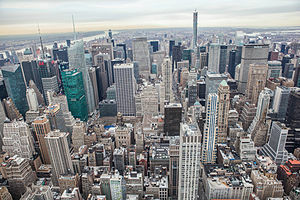 Mediacom in New York City was the first cable company to announce a 50 Mbps data product, and today most urban cable companies offer a 100 Mbps product. However, the dirty secret cable companies don’t want to tell you is that they can offer that product by giving prioritization to those customers, which means that everybody else gets degraded a little bit. And then came Google in Kansas City who set the new bar to 1 Gbps. Service providers all over the country are now finding ways to 1 Gbps service, even if it’s just to a few customers. I am always surprised when I find a company who operates a fiber network which does not offer fast speeds. I still find fiber networks all the time that have products at 5 Mbps and 10 Mbps. In all of the fiber-to-the-premise technologies, the network is set up to deliver at least 100 Mbps to every customer and the network provider chokes the speeds down to what is sold to customers. It literally takes a flick of a switch for a fiber provider to change the speed to a home or business from 10 Mbps to 100 Mbps. And so I tell these operators to make it faster. If you own a fiber network you have one major technological advantage over any competition, which is speed. I just can’t understand why a fiber network owner would offer speeds that are in direct competition with the DSL and cable modems in their market when they are capable of leaping far above them. But even if you are using copper or coax you need to increase speeds to customers whenever you can. Customers want more speed and you will always be keeping the pressure on your competition. The 21st Century Communications Video Accessibility Act of 2010 expanded the obligations of carriers to increase the access of persons with disabilities to modern communications. The CVAA makes sure that accessibility laws enacted in the 1980s and 1990s are brought up to date with 21st century technologies, including new digital, broadband, and mobile innovations. This expanded requirement to provide voice communications to include VoIP, text messaging, e-mail, instant messaging, and video communications. This law covers a number of different types of disabilities, but today I will just discuss what this law means for a carrier when dealing with hard-of-hearing or deaf customers. In order to understand your obligations you must first understand how hard-of-hearing and deaf people communicate with others. 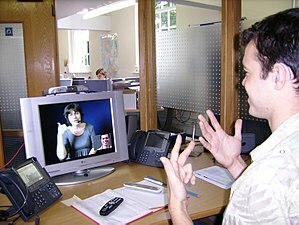 Today, the preference for communicating between two hard-of-hearing or deaf people, or with somebody who knows American Sign Language (ASL) is to use Skype, Apple Facetime, or one of the many other web-based services that allow the called parties to see each other. But when hard-of-hearing or deaf customers want to communicate with anybody else they have to use one of the more traditional methods. There are two basic systems in place for placing calls between hearing and non-hearing people. Telephone Relay Services (TRS) was a system started in the 80’s that created a call center of live operators who act as intermediaries for calls between a deaf caller and any other person. In this system the deaf caller uses a device known as a TDD that allows them to type to the operator, who then reads what is typed to the called party. In the other direction the operator types whatever the non-deaf party says and sends it to the TDD device. Since 2000 the states have all created Video Relay Services (VRS) where the hard-of-hearing or deaf caller uses a video phone or camera system so that they can be seen by the operator. This allows the deaf caller and the operator to both us sign language to communicate, which greatly speeds up the process. Video Relay Service has mostly supplanted Telephone Relay Service. For example, in Virginia (and each state runs their own centers) VRS centers carried over 65% of the hard-of-hearing and deaf minutes in 2012. One would suppose that in a few years that TRS centers will become obsolete. You must be ready to inform a hard-of-hearing customer about their options on how to connect to TRS or VRS centers. The connection methods are different in each state. 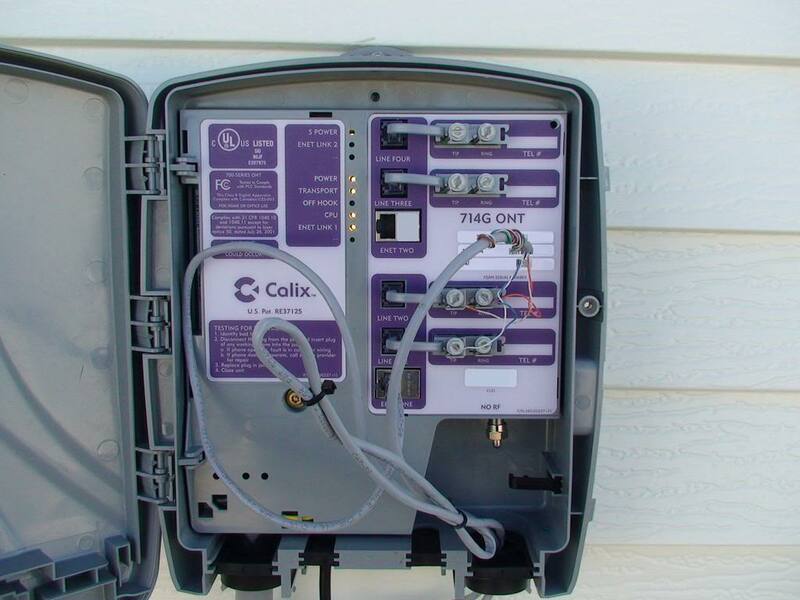 To the extent that customers cannot afford the equipment needed to make these connections you must provide it. However, there is $10 million annual funding as part of the new TRS fund (the USF fund) which may reimburse you for any such costs. You are required to keep records of inquiries and complaints by hard-of-hearing or deaf customers and must maintain these records for five years. Any connection you make to advanced 911 must be made available to hard-of-hearing and deaf callers. If you provide closed caption programming on a cable system, those same obligations must be met if you stream the same content on the web. Any emergency alerts on your cable system must be broadcast both in writing and orally to accommodate hard-of-hearing and blind customers. If you offer Video on Demand or VCR recording of programming, they both must capture the closed captioning for later playback. I will cover requirements for blind customers in another blog. Those requirements are somewhat more complicated. Contact us if you want more information or if you want to understand how to get funding for hard-of-hearing equipment from the TRS Fund. One of the most powerful feature sets available today is unified communications. Yet very few of my clients are selling it today. But if your customer base includes businesses or a lot of residential power users then you need to include unified communications in your product portfolio, and you need to sell it. What is unified communications (UC)? UC is the integration of real-time communication services with non-real time services. Real time services include such things as voice telephony and VoIP, instant messaging, speech recognition, data sharing, collaboration and video conferencing. Non-real time communication services are often packaged under the name of unified messaging and include such features as voicemail, email, SMS and faxes. There is no standard set of features that are included in a UC package and it seems that every company that offers it does it a little differently. So a carrier must typically build this product by tying together all of the components and features you already have available into a bundled product. Most carriers who own a softswitch and a voice mail server are capable of creating a basic unified communications product. Brings the ability to delivery any communications medium to any device, anywhere. Extends the corporate network so that mobile customers can be productive from anywhere. Gives the freedom to each individual UC user to tailor the product for the way they can best use it. Can add telepresence technologies to let a UC user check the availability of other resources in his network. For instance a user can see if somebody is available to talk before they try to call them, eliminating the voicemail chain. Can add collaboration and data sharing components which will make employees far more productive. Good collaboration software gives users the ability to share and work together on any document from any software platform simultaneously. The value to a customer of UC is that it allows the customer to send a message on one medium and receive the same communication in another medium. This frees a customer from any restraints imposed by location or device and the perfect UC product will deliver any communications path to any device anywhere. For example, a customer can receive an email on any device of his choice and also has the option to have the email content delivered as a standard email, or as a voicemail or text. Normally the customer can receive the medium, in this case an email, live in the medium for which it was intended, but can also opt to receive or store the email on a non-real time basis in any other medium. 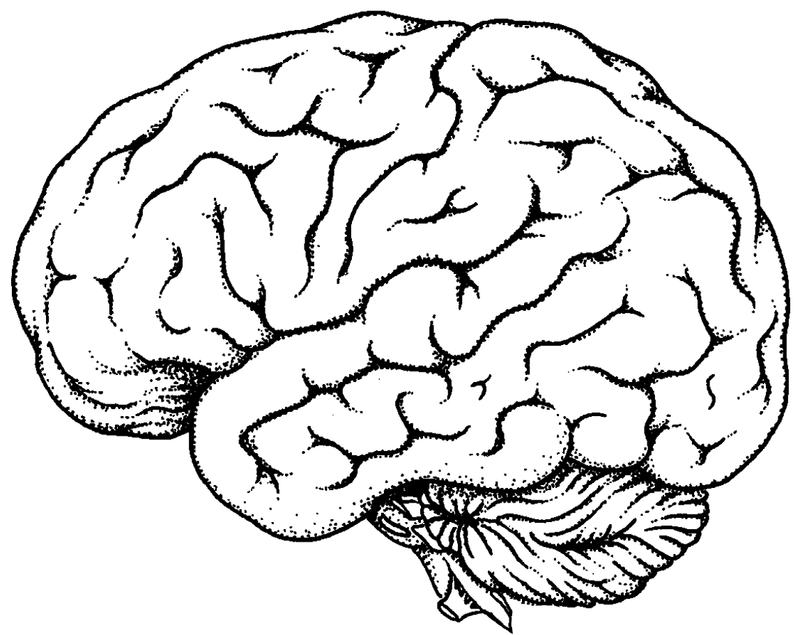 The control for making the desired choices is given to the customer. To continue with this example, the customer can set up his UC to always receive emails in a certain format, for example, as a voice mail he listens to on his cellphone, or he can change his options on the fly during the day. UC is a very powerful product for customers who grasp it and use it. It can make a customer sticky to your network if you give them the freedom to have complete control over their communications. How do you create a UC product for your network? The first step is to decide what you want to offer. Not every UC system tries to deliver every communications product to every device. 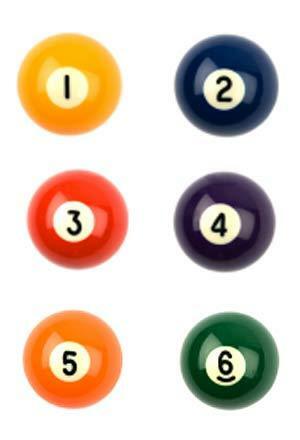 Many UC products instead are crafted to satisfy specific customer applications. If you own a softswitch you probably already own many of the components needed to build a simple UC product. For example, there are various features built into the feature packages on a Metaswitch that can be combined to create a decent UC product. And if you only have a few business customers who will be interested in UC, this might be sufficient. The other alternative is to buy a UC product from somebody else’s platform. Today there are numerous companies who have assembled UC products that function on their own platforms. As a carrier you can access these platforms on a wholesale basis and buy ready-made UC products for your customers rather than build your own UC products from scratch. There has been a lot of industry activity in developing UC products in recent years. Since March 2008 there have been several open source UC projects based on Asterisk that has led to the creation of open source UC product lines. In May 2010, the Unified Communications Interoperability Forum (UCIF) was created to develop standards between technology companies for UC and to create interoperability profiles, implementation guidelines, and best UC practices. The original founding members were HP, Juniper Networks, Logitech, Microsoft and Polycom. Because UC can be done in many different ways and can include numerous product components you can save a lot of time before trying to create a UC product by talking to CCG. I spend a lot of time looking at the products that carriers sell and one conclusion I reach is that simpler is better. I have found carriers with a multitude of options, with dozens of data products, many cable TV options and even many voice options. And I think I know where this came from. In the 90’s there was a movement to ‘give the customers more choice’ and I think that led some carriers down the path of customizing products for every customer who asked for something different. But that does not seem to make sense for a variety of reasons. In probably the most extreme example, I know one carrier who has over forty Internet data products. This leads me to ask if a company really needs to be selling a 10 mbps, a 15 mbps, a 17 mbps and a 20 mbps data product? And the obvious answer is no. There is not enough practical difference between these products to justify having different ones. It makes a lot more sense to have just a few data products. The companies that I see doing the best at selling data have three of four products, which can be characterized in terms of speed and price as low, medium and high, with maybe a fourth thrown in for a lifeline product. And they will have just a few cable TV options instead of the dozens of packages that I see at some companies. The same with voice, there might be a basic line and a line with unlimited long distance. Customer service. It is important that all of your employees, from top to bottom in the company know your products. To some extent every employee in your company is a salesperson when they talk to the general public at or away from work. The basic triple play products are the core of what most carriers sells for a living, and if your employees don’t know what you sell then they can’t talk about your product to the public. As an example, every employee at your company ought to be able to instantly quote the latest prices and speeds for your Internet data product. This is an easy challenge to test – go out today and ask the next few employees you see if they can cite the speeds and prices of your basic residential and business data products. I would venture to say that most companies are going to fail this simple test. Let’s face it – the success of your business depends on you being able to make a convincing story to customers of why your product is a better deal than the competition. 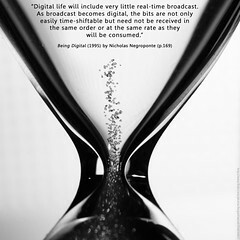 For data products that difference is going to boil down to speed and price. Sales don’t just happen on the customer service lines, the opportunity is there every time one of your technicians is fixing something or an employee is standing in line at a grocery store. So make the products simple and make sure your employees can all cite your products and prices. Sales, marketing. It’s much easier to market a simple product line. If you can summarize your pricing with a minimum of copy then you can spend your marketing efforts on talking about the benefits of your products and how you are a better deal than the competition. And it’s certainly a lot easier to take an order from a customer when you don’t have to explain a ton of options. I can’t imagine the effort that is required in a company with dozens of data options when it is time to explain the product to a new customer or to discuss upgrading to an existing customer. Keeping it simple makes the whole sales process easier. A simple product line also makes it a lot easier to build a customer portal so that customers can change products on their own. I just wrote last week how I recently went to AT&T wireless to change my voice plan and I was a bit overwhelmed by the number of options I had. I’m in the business and if I felt that choosing an option was a lot of work I wonder how somebody unfamiliar with the products in our industry must face these kinds of choices. Provisioning. Whether you provision manually or have software that allows you to automatically provision products, having a simple product line is going to cut down on errors in provisioning. I talk to employees at carriers all of the time and a common problem I hear is that customers don’t get the products they thought they were signing up for. And when that happens you have started out on a sour note with a customer. With a simple product line, provisioning becomes a lot simpler because there are only a few options that customers can buy. I do have a number of clients who have simple product lines. But even with those companies I will often see things like a phone product priced at $18.62 and it makes me wonder why it’s not priced at $18.99 or $18.49 or some number that everybody can remember. If you want your own folks to remember the prices, keep them simple as well. Some companies seem to get this. I look at Google in Kansas City and their product line is downright sparse. They literally only have a tiny handful of products. I have written about them before and I think they have taken simplicity too far. But it’s easy to understand how much easier this has made their launch considering that they are new to the business. So take a look at your product list with an eye to see if it’s simple and easy to understand. Or better yet, get some people outside of your staff to look at it. If the general public gets your products then you probably have it right.